08.00 AM: After breakfast at your hotel, you will have a tour around the countryside of Hanoi. Today we will visit the ancient Duong Lam village which is about 70km far from city center and enjoy the lunch with local style in a century-old house. In the afternoon, it is the time to take a walk to explore surrounding areas with small alleys and laterite walls. Stop to visit famous Mia Pagoda which was built in 17th century and boasts as the unique pagoda in Vietnam stores 287 enriched art buddha statues. Next you will continue to visit Ngo Quyen and Phung Hung temples, ending with Tay Phuong Pagoda on the way back to Hanoi. 08.30 AM: Our tourguide will wait for you at the hotel lobby tostart the tour around Hue Old Citadel. Rising up in the ancient land, you board on a private boat for cruising on the romantic Perfume River. Being the ancient capital, Hue is surrounded with ancient royal tombs of emperors past, and visit to some of these tombs will be on the itinerary for today. The charming Lady Pagoda (Thien Mu Pagoda) will be the first stop. Setting in the converge of rivers, and gives you a great view on the Perfume River and surrounding area. From here you will take a drive to visit King Minh Mang tomb & King Khai Dinh tomb. Lunch at a local restaurant. This afternoon you will join a tour of Hue City including the Old Citadel and the Forbidden Purple City - an amazing historic landmark in Hue - a definite must-see sight to learn more about the history and architecture that visitor should not miss when travelling to that peaceful area. After the tour you will be transfer back to your hotel. Free in the evening. Overnight in Hue. Transfer from Hue to Hoi An, visit Ba Na Hills enjoying the breathtaking views from the Golden Bridge. 08.00AM: Our guide and driver will go to your hotel to pick you up and we will head out of Hue to Ba Na Hills. Take Cable Car which gains 5 world scores to Ba Na hills station. Stop at By Night station to visit Vong Nguyet hills, Linh Ung pagoda, The Old Villas of French. Continue moving up by cable car to the Nui Chua Mountain – the top of Ba Na range, visiting Nghinh Phong top, Le Nim Villas, Orchid Garden… Experience hill climbing train (first and unique funicular in Vietnam) and visit an old French cellar (Debay Ancient Wine Cellar), flower garden Le Jardin D’amour. You should not miss walking on the famous Golden Bridge amid the foggy hills of the mountain, witness the amazing and gorgeous view of Da Nang City. Have lunch at a restaurant on Ba Na Hills. At about 15h00: Transfer from Ba Na Hills to Hoi An ancient town in about 01 hour. Arrival Hue and do the check-in your hotel. Free time at your leisure. Overnight in Hoi An. Cycle from Hoi An to Tra Que Herb Village Van lang fisherman village and Bay Mau water coconut forest. 08h30am: Your guide will meet you in your hotel lobby, than you will cycle around Hoi An towards the Tra Que vegetable village - About 150 farmers and 400 owners live on there and cultivate about 20 types of vegetables and herbs such as mint, lettuce, basil, cilantro, broccoli and many more. From the more than 40 hectares of land 8 tons of Village Tra vegetables are sold every year. The vegetable growers do not use pesticides or GMOs, using natural fertilizers instead, including seaweed found in the river and harvested by gardeners every morning. Walk in Tra Que vegetable village and meet local people working in the garden. During the walk, you will cross vast rice fields in the countryside and quiet road, far away from the tourist trails. You will see the activities of the inhabitants through the villages of Hoian. The local farmer will teach you all about cultivation methods and how to protect developing vegetable from the insects as well as join the farmers in preparing gardening activities such as raking the ground, sowing, watering greens, transplanting and tending greens. Continue riding through paddy field, Ba Le market, kindergarten ... until reaching Van Lang fisherman village and Bay Mau coconut water forest - about 7 hectares, surrounded by mangrove forests, canals, houses covered by coconut water leaf . This place had ever been the refuge for people and local soldiers during the Vietnam War. Nowadays, it is famous for providing the most seafood products. After lunch, free time and take a short rest before returning to your hotel about 15h30. Free time at your leisure. Today you will be free to relax. You may choose to snorkel or dive among the coral reefs in crystal blue waters, hike nature trails, cool off in your private plunge pool, indulge in spa treatments or just relax on the white sand beach and admire the unspoiled mountain and sea views before retiring for the evening. Overnight in Nha Trang. You are free at your leisure until the flight to Ho Chi Minh City. Welcome to Ho Chi Minh city, the most bustle and hustle city in the south of Vietnam. This is one of the must-visit first cities attracting international tourists.At Tan Son Nhat Airport, our guide and driver will welcome then take you to your hotel to do check-in. After relaxation, it is your free time to discover the city, walk around Ben Thanh market and taste very delicious local cuisine. Overnight in Ho Chi Minh City. 07.30 AM: Heading out of the town, we set forth to the Mekong Delta, Vietnam's largest granary. The program will start with a visit of Cai Be floating market. Then, the rowing boat will take you deeper into the countryside on smaller canals to enjoy the peaceful time. Back to our boat to go across one of the longest river in the world, Mekong River, to come to An Bình Island. Travel on a handmade canal to Ut Trinh home & have an optional lunch. After lunch, we can walk around this orchard & enjoy some cups of tea when listening to the traditional music in the ancient house. Walk in the local village to visit the local workshop to see how to make rice paper, coconut candy, pop-rice... Enjoy some sweets with a cup of hot tea. Optional biking can be made for a leisure! It will be so amazing to bike on village paths to see the local daily life: orchard, school, church, pagoda, traditional houses and maybe the ancestral ways to pick up fruits in Mekong Delta... Visit the brick kilns where you can see how the local people create beautiful potteries from clay. The cruise will end at VinhLong city! 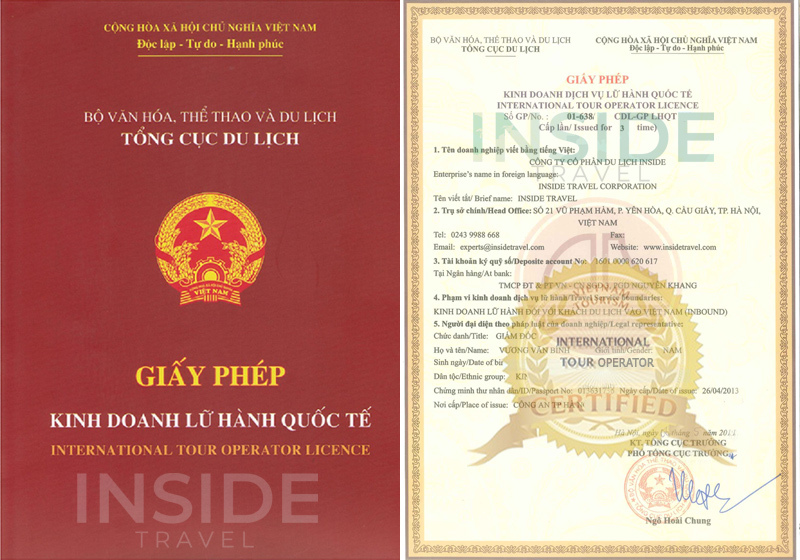 THen transfer back to Ho Chi Minh city by your private car.